We recently asked librarians to tell us about the makerspace activities going on in their schools and libraries. Almost 1,500 people responded to our survey and shared their challenges, their successes and their tips. Respondents included those of you who’ve taken the plunge and are adapting your creation spaces as you go, those of you who are dipping your feet in, and those that are ready, willing and just looking for some tips to get started. The survey results show that many of you, regardless of what type of library you work in, face the same obstacles in your quest to bring makerspaces to your communities. The two biggest challenges many of you are facing are budget and time, followed closely by lack of space. Sound familiar? But, rest assured, there are some tips and tricks out there to help you overcome those hurdles. Let’s begin with budget. 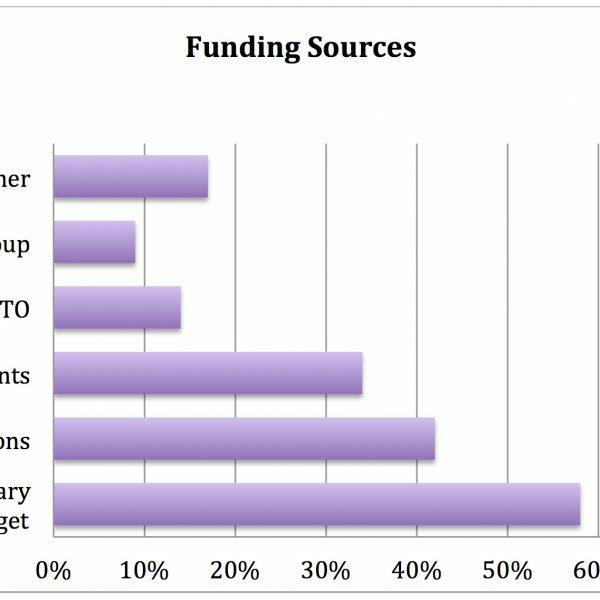 The majority of you responded that you were able to use at least some of your library budget to fund your maker activities. Many of you are also seeking donations or applying for grants specifically geared toward your goal. 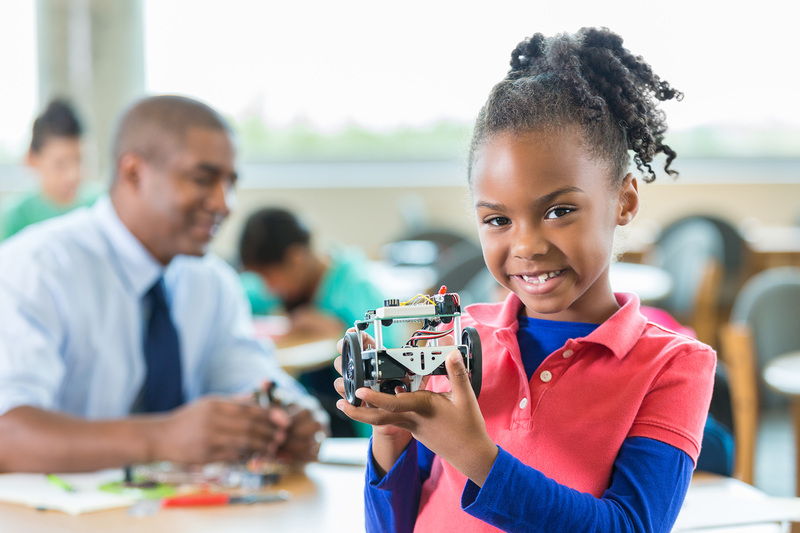 Demco’s free Grants Database is a great place to start to find state and federal grants specific to STEM and other library-focused initiatives. Many of you are also using crowd-funding sites, such as DonorsChoose.org (check out their matching donation promos for educators), and seeking donations from your community, businesses, PTO or Friends group. 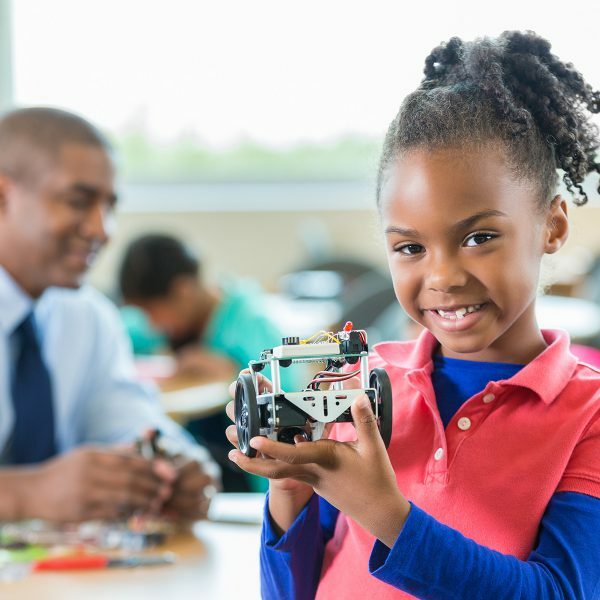 You can also find additional funding and resource tips in Colleen Graves’s post about Getting Buy-in for Your Makerspace and Mary Glendening’s Tips for Successfully Funding Your Makerspace. Another great piece of advice that almost all of our survey respondents echoed was to start small. 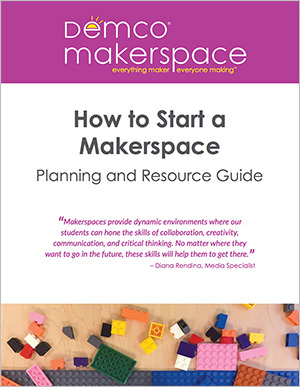 Your advice for librarians just starting out on their makerspace journeys included taking advantage of low-cost, low-tech resources. Heather Lister offers some affordable (how does free sound?) activities in her post, Create an Amazing Low-tech Library Makerspace with These Easy Ideas. Additional tips from our frugal library friends included starting with recyclables for projects or hitting up off-season sales and discount stores. Don’t have a dedicated space for activities? No problem. Emily Ellis shares inexpensive STEM stations you can create that encourage exploration and experimentation. Just because you’re short on space doesn’t mean your library can’t be a part of the maker movement. You can start with pop-up activities and invest in a mobile cart to store and manage your supplies. In fact, if you’re short on funding and space, your mobile makerspace can serve multiple libraries in your system. See how the Arrowhead Library System does it in Laura Damon-Moore’s post Makerspaces on the Move. Children’s librarian Holly Storck-Post also offers fun Maker Monday pop-up ideas and Little Maker activities on her blog, along with lots of other unique programming ideas. Many libraries that are short on space are also investing in mobile and flexible furniture, such as Kite® tables that easily fold, nest and store and furniture on castors, to enable spaces to be rearranged for multiple purposes. Another option is to reevaluate your collection and the overall use of your space to see where changes can be made. Diana Rendina has an excellent post on how she made over her school’s library to create a 21st century learning hub. 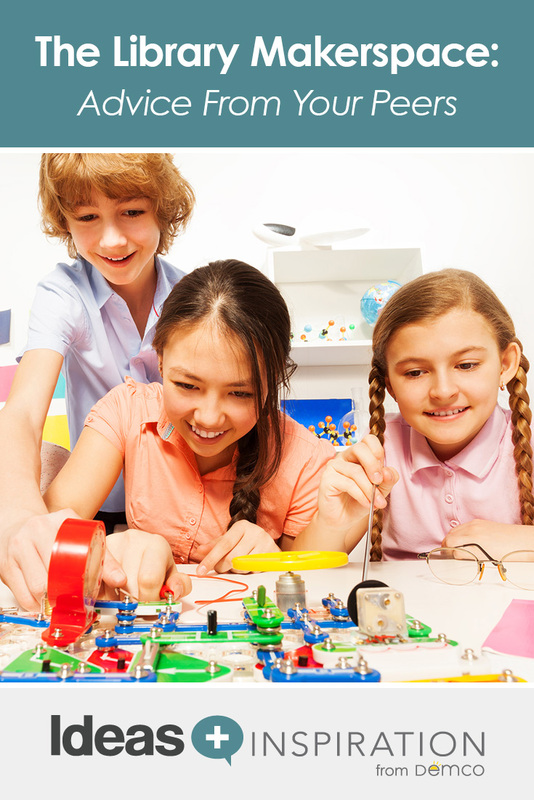 Finding the time for planning makerspace activities posed problems for many of you. No one can argue that it doesn’t require extra effort to start something new — and to keep it fresh once it’s started. That’s why learning from others’ mistakes and their successes and getting buy-in from your coworkers is important. There are a plethora of resources to help you get started and to keep the ideas flowing, including Colleen Graves’s comprehensive list and the Demco Ideas + Inspiration blog. Having these resources at your fingertips and jumping in a little bit at a time can help ease the stress of additional planning. 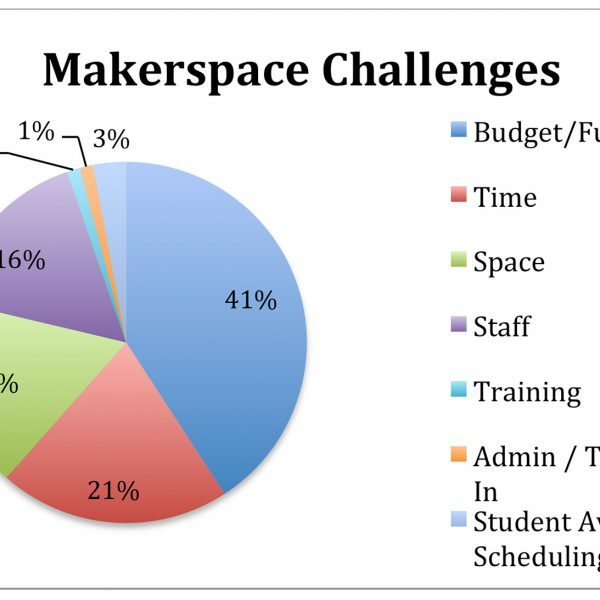 For school librarians, scheduling time for students to use the makerspace also posed a challenge. Every school and every library is different, but many have found ways to work maker activities into their schedules, such as award-winning librarian Andy Plemmons, who extends makerspace time into recess time. Other time-saving tips from your peers included organizing an older student group to design and teach activities; finding activities that can be left out and require minimal supervision; using stations; collaborating with teachers; and partnering with others on your campus who are already doing maker activities. Now that you’ve read about how others are handling the logistics of their makerspaces, you may be wondering what they’re finding to be the most popular tools to use. Regardless of how often you decide to run maker activities or which tools you choose to use, your peers had some motivating advice for you: It’s important to be persistent, yet patient. 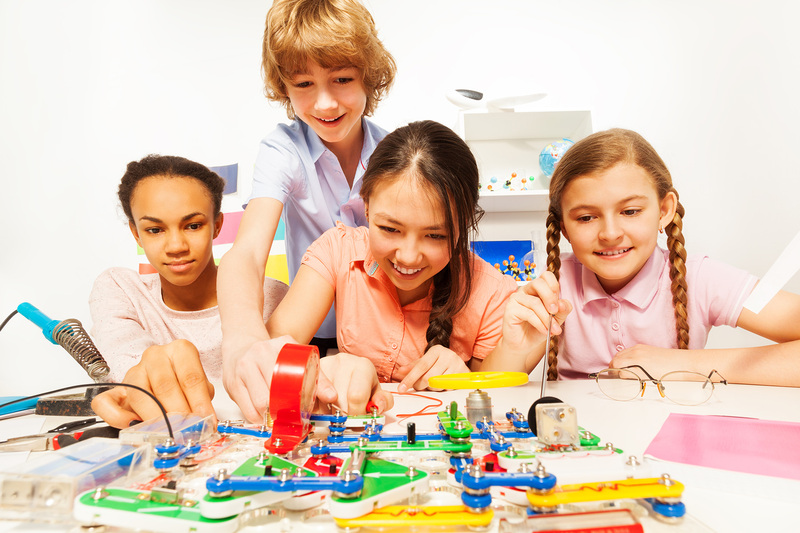 You don’t need to be an expert to open your makerspace to your students or the public; just do it and learn together! What tips do you have for your peers who are looking to implement making in their libraries and their communities? What are your favorite tools and resources for ideas? Share in the comments below or on Twitter. Happy making! I am a teen public librarian hosting an event for school librarians this upcoming week. Attendance is slated for around 20 individuals. Might I have permission to copy off the article “Library Makerspaces: Advice from Your Peers on Budget, Space, Time & Tools” and distribute to them? Some the best info I’ve found in my online research. I’ll contact you directly – thanks for your interest!